The Government has confirmed the resignation of Sir Terry Morgan as chairman of both HS2 and Crossrail. Sir Terry, who was chairman of HS2 for just four months, will be replaced by Allan Cook, former chairman of consultant Atkins prior to its acquisition by SNC-Lavalin. A new chairman for Crossrail will be announced in due course. Cook began his career as an apprentice electrician with his father’s contracting business. 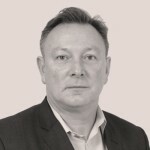 He is a chartered engineer with more than 40 years’ international experience in the infrastructure, automotive, aerospace and defence industries. Before joining Atkins, where he was chairman for seven years, he was chief executive of defence firm Cobham until the end of December 2009. Prior to this he held senior roles at GEC-Marconi, BAE Systems and Hughes Aircraft. His experience also includes acting as a former lead non-executive director for the then-Department of Business, Innovation and Skills under the coalition government and chairman of the Sector Skills Council for Science, Engineering and Manufacturing Technologies. Cook said: “It is a privilege to be asked to take on this crucial role on UK’s biggest infrastructure project.